The hues are incredible! 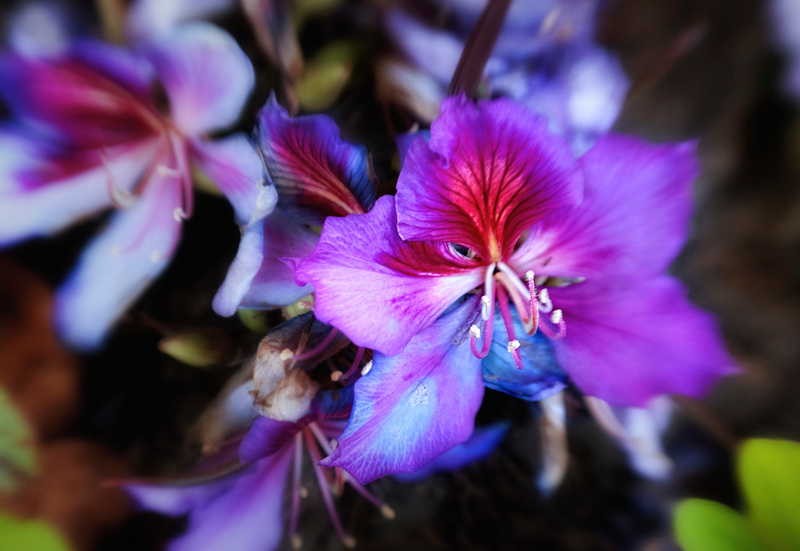 And the face in the flower is indeed extraterrestrial :^) Amazing photograph. Lots of flower pics around these days, but this one is very special...apart from being alien...the flower elements are placed so well, and with such beautiful colour.